America’s pastime is back for a new season in 2015 with Opening Day kicking off this past Monday. Baseball fans can look forward to the return of their heroes in hopes of their team regaining its glory or perhaps a possible repeat Champion from last season. 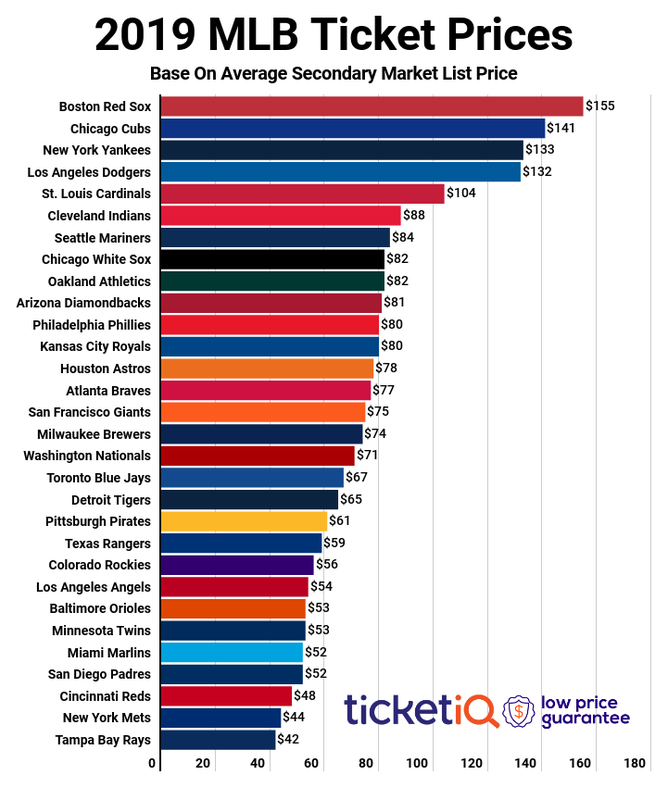 The top MLB tickets on the secondary market features some great games. There’s a second leg of Opening Days that will start at the end of the week, placing many high priced games on Friday. Here’s a breakdown of the top five MLB tickets this week, according to TicketIQ. This Friday the Cleveland Indians host the Detroit Tigers for their home opening series at Progressive Field. The Indians kicked off their season on the road with season opening loss to the Astros. However, it’s a long season and these two teams could be battling it out all season for the American League Central. Indians tickets for this game are going for an average price of $192.41 on the secondary market, with a get-in price of $70. The Colorado Rockies kicked off their season on Monday with a dominant win over the Brewers. After they wrap their three game set with Milwaukee, Colorado will have their opening series at home with their first of a three game series with the Chicago Cubs at Coors Field this Friday. Rockies tickets for this game have a secondary market average price of $187.11, with a get-in price of $84. The defending AL East champions kicked off their season on Monday with a win over division rival Tampa Bay Rays. The Orioles have their opening series at Camden Yards against another division opponent, the Toronto Blue Jays. Blue Jays vs Orioles tickets for Friday’s game have a secondary average price of $168.30, with a get-in price of $74. The Chicago White Sox kick off their home opening series this Friday with the first of a three game series with the Twins at U.S. Cellular Field. Tickets for the Twins vs White Sox game this Friday have a current average price of $167.87 on the secondary market, with a get-in price of $50. The Texas Rangers begin their season with four game road trip against the Oakland A’s. then return home to Globe Life Park in Arlington to host the Houston Astros for a three game set beginning this Friday. Rangers tickets for this game are going for a secondary average price of $165.90, with a get-in price of $43.